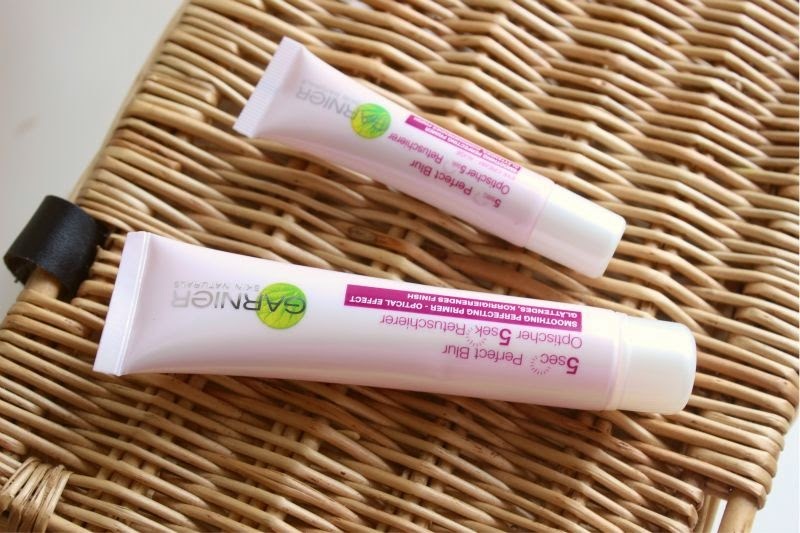 Garnier Perfect Blur - Skin Care Come Primer? I have less than perfect skin. There I said it. Anything that promises to brighten and more importantly disguise my pores I am more than keen to try. Enter the new Garnier Perfect Blur range. Two products that have been designed not only to blur open pores, wrinkles, fine lines but also brightens the skin as well as keeping shine at bay. Pretty nifty huh? Oh but Garnier have went one step further than most brands and have created a primer of sorts for the under eye and crow feet area of the eye. Basically both of the Garnier Perfect Blur are silicone based products but unlike Benefit The Porefessional et al they have a lighter texture, don't tend to bobble on the skin (is there anything more annoying?) and has more "skin care" type properties. 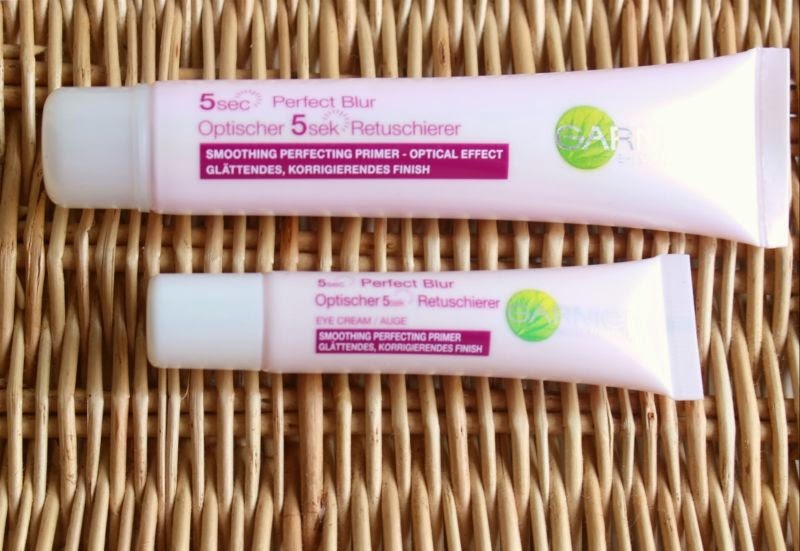 It is important to point out that although the Garnier Perfect Blur products aren't officially categorised as skin care they are not as drying as other primers of this type most notably the eye cream and the face version does reduce redness to boot. 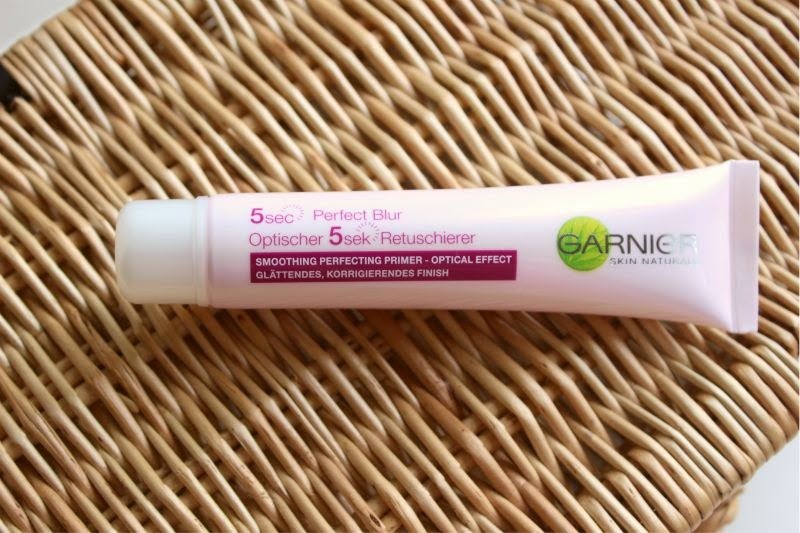 If you do happen to be a fan of Benefit The Porfessional or Maybelline Baby Skin do yourself a favour and next time you run out of your favourite silicone based primer and purchase Garnier Perfect Blur. Why? Well for £9.99 you get 30ml which is 8ml more than Babyskin for approx £2 more and 8ml more than The Porefessional for £12 less so you of course get more bang for your buck. As mentioned this does not pull on the skin creating those annoying little bobbles of product after an hour or so, it feels lighter on the skin than the other two primers and more importantly it does what it says on the tin. 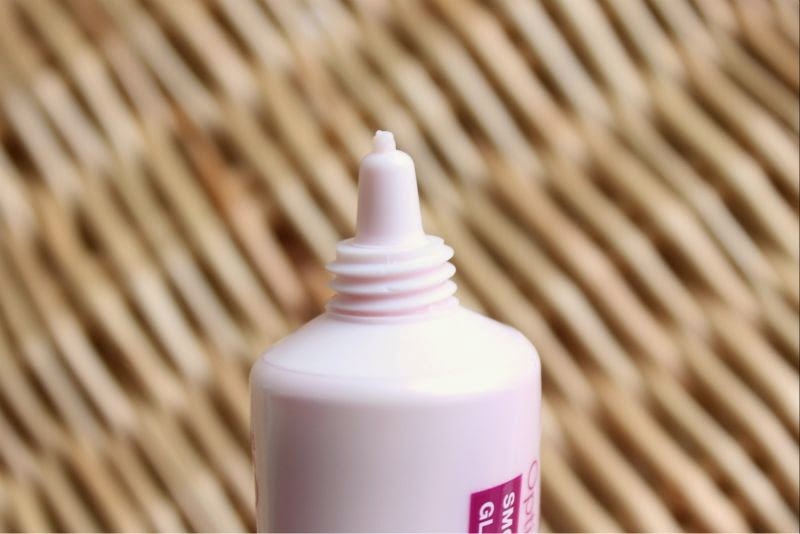 If you have enlarged pores it quickly blurs them, the same applies for wrinkles and fine lines all the while creating a velvety soft matte base that is perfect for applying both liquid and powder foundation on top off. As someone with oily skin the additional oil control this product provides doesn't go unappreciated and as the Garnier Perfect Blur products turn transparent once applied to the skin you can apply over make-up should you need to. One of my biggest problems having oily skin is smudged mascara and eye liner, the excess oil on my face means I more often than not have a certain Panda like quality. In the past I have tried eyeshadow primers on my under eye area but the end result is often a patchy, dried out mess. Up until recently I just applied lots of powder and hoped for the best but again that was less than ideal. 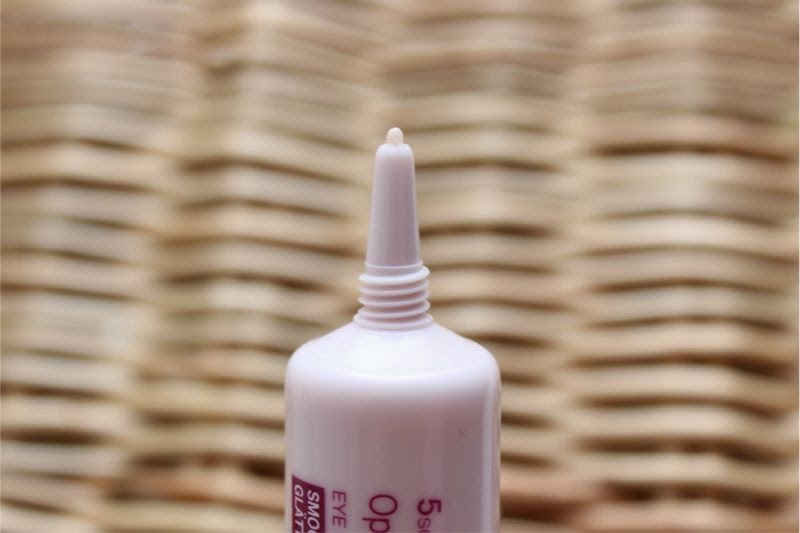 Yes Garnier Perfect Blur for the Eyes has been created to blur crow's feet and general fine lines of such area but if you have similar problems with eye make-up as I do this is your new secret weapon. I know what you are thinking why not use the face version of the Garnier Perfect Blur and save yourself some cash? 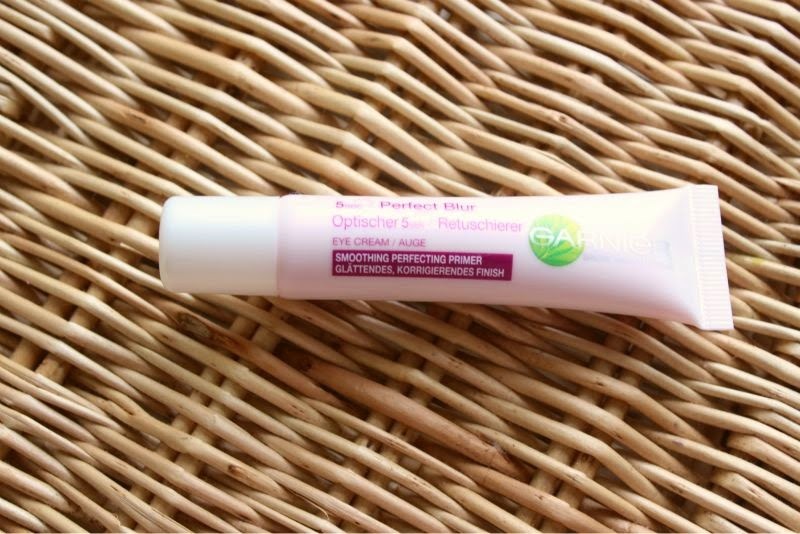 I guess you could but the Garnier Perfect Blur for Eyes has a lighter, more eye friendly formulation that doesn't irritate yet works just as well. I don't have any lines around my eyes yet but my mother did try this out and the result was lines looked softer. Anyone hoping for miracles may be left disapointed but if your only aim is to achieve a more lifted and fresh look while prolonging any make-up placed on top this could be the very product you are looking for. I am a huge fan of silicone based primers and can happily say that the new Garnier Perfect Blur rank very highly on my list. Both are affordable, more than do what they claim to and are well priced. If pores, excess oil and lines are your problematic areas I urge you to give them a whirl. Great post! These sound like they do exactly what they say they will with the added bonus of some oil control. This looks amazing. I got the baby skin primer and I absolutely hate it! Definitely going to get this. Definitely picking it up next time I'm in my drugstore! By the way, I'm also new to t his world of blogging, so it would mean a lot to me if anyone checked out my blog and followed? Thanks! I just picked up TBS Insta-Blur and it was honestly a toss up between these two. This goes on sale constantly, so I'll definitely pick it up the next time I see it on offer. This made my skin super soft great post! Thanks for review, I am using Loreal magic blur at the moment and it worth a try.